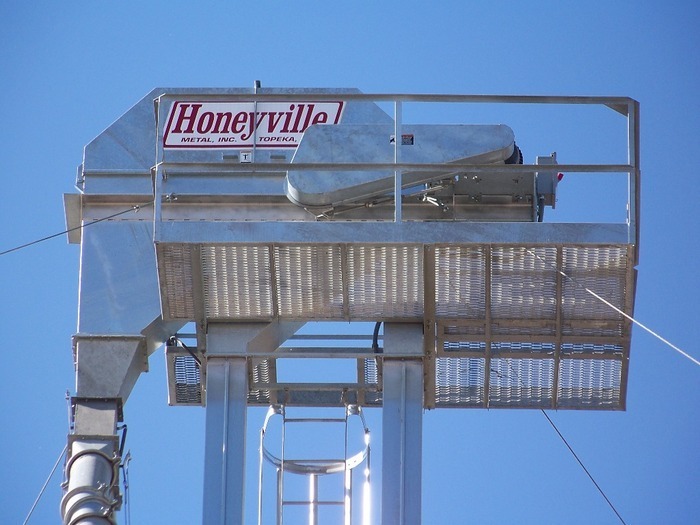 Honeyville Bucket Elevators | Honeyville Metal, Inc.
Honeyville Bucket Elevators are available in seven different models with capacities ranging from 1,350 BPH up to 32,000 BPH and feature heavy-duty components that are jig welded for easy assembly. 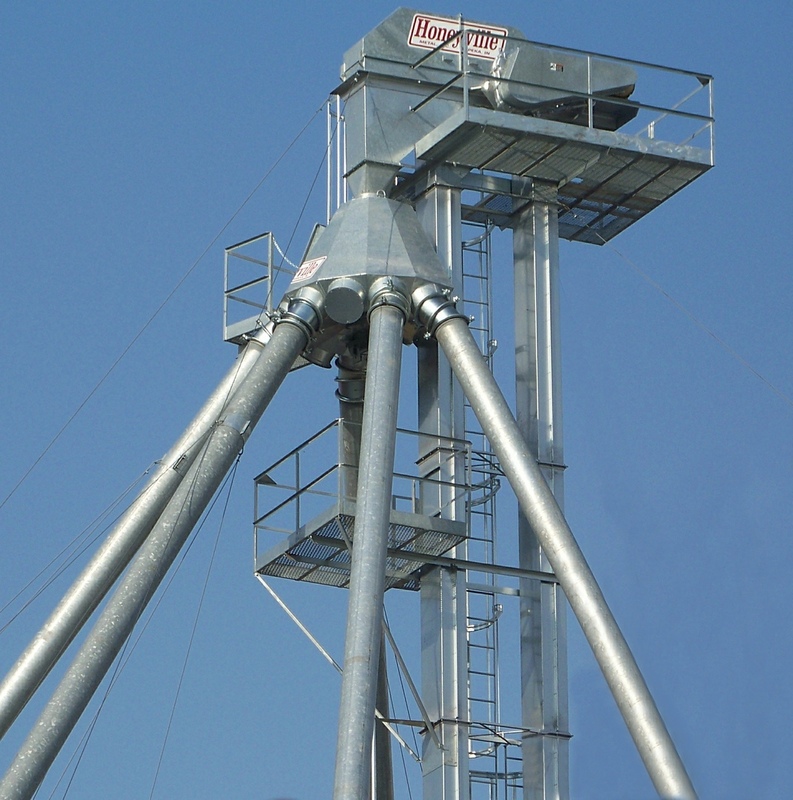 All pieces are galvanized for a durable finish and a long, maintenance free life. 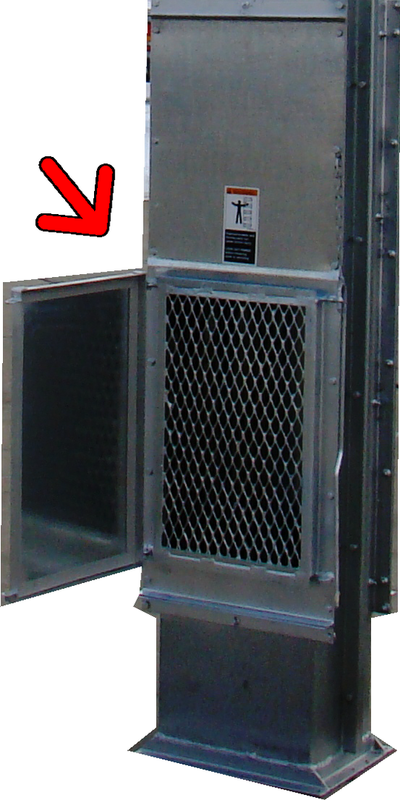 Each elevator comes with a "No Tool Door Access"
HEAD: Heavy-duty galvanized steel construction designed for clean discharge. HEAD COVER: Sectioned and hinged for easy service of internal components. HEAD PULLEY: Crowned and fitted with tapper-lock bushings, non-slip rough top lagging for maximum traction. BELT: High strength PVC belt for minimal stretch, impregnated solid carcass, pre-punched for easy bucket mounting. SOR Rubber belt is available as an option. BUCKETS: High Quality Polyethylene CC Deep Terminal design. Steel buckets are available upon request. 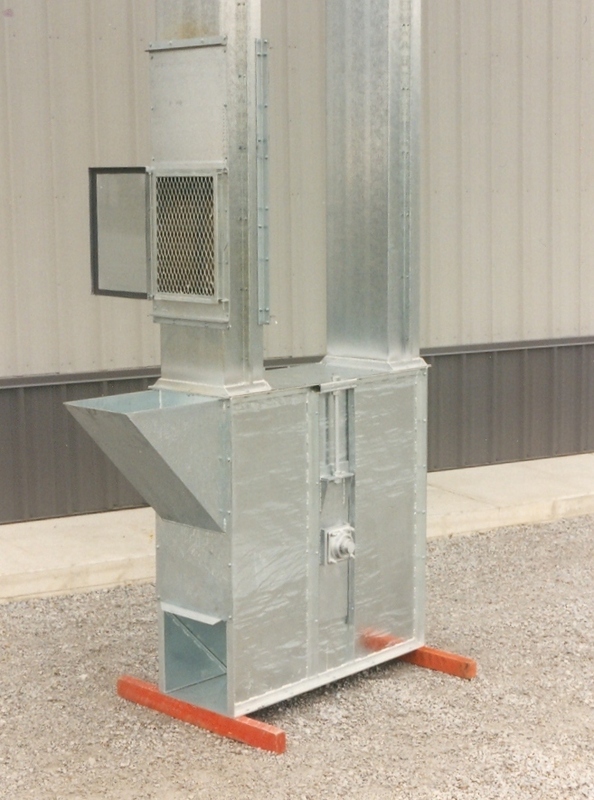 BOOT: Heavy gauge galvanized steel. Easy to adjust take-ups for boot pulley. 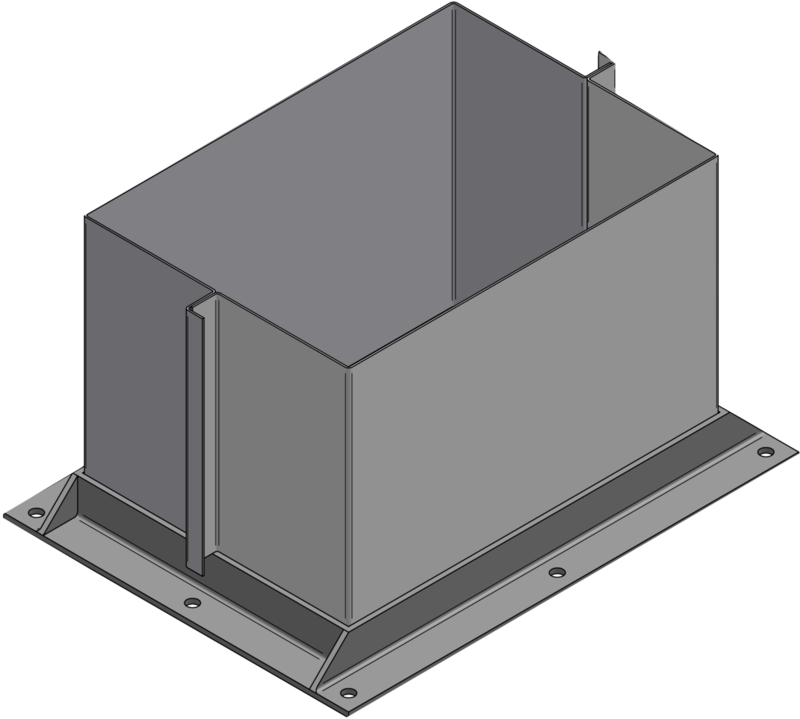 High or low, standard or expanded width hopper. Hand slide clean-out gates positioned on each side. TRUNKING: Twin box construction. 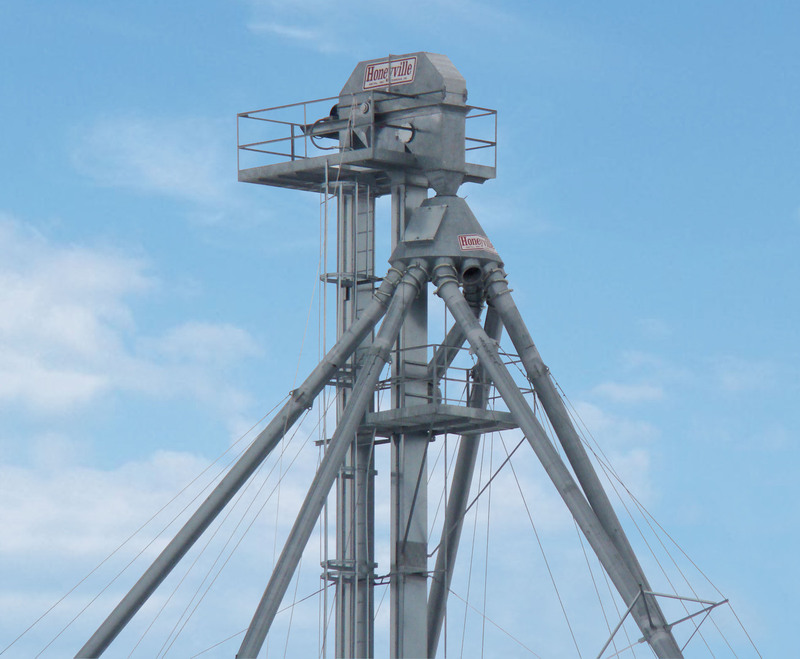 Heavy gauge ASTM A-526 G90 galvanized steel Double seam, jig welded for perfect alignment. 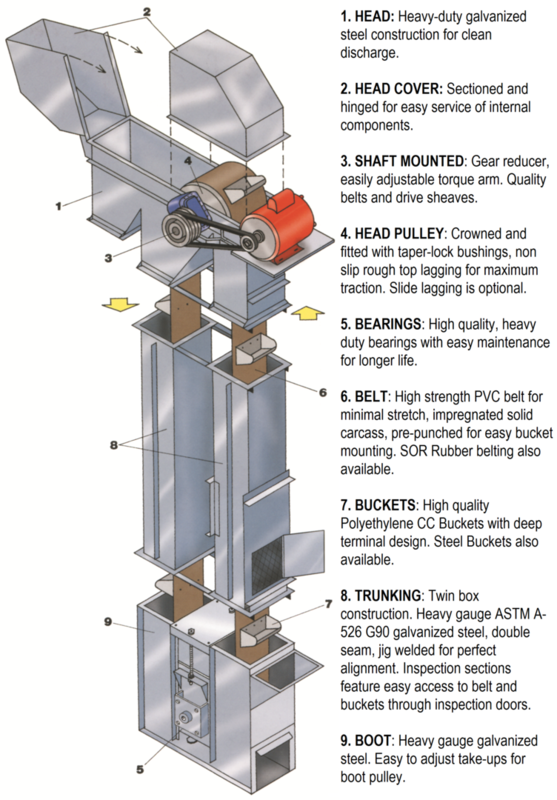 Inspection sections feature easy access to belt and buckets through inspection doors. Honeyville utilizes ten 90° bends for greater vertical strength and structural integrity. 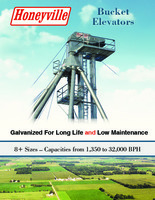 LADDER AND SAFETY CAGE: Available for all models of Honeyville Bucket Elevators.